No one wants to live with pain. 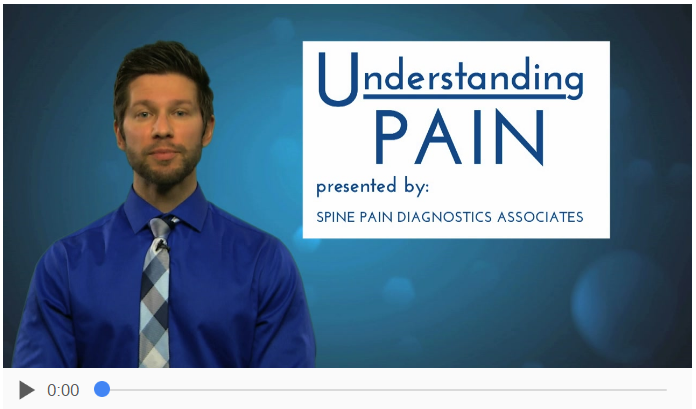 Our goal at Spine Pain Diagnostics Associates is to help you overcome your pain. We not only provide diagnostic and treatment services, but our physicians also want to share their expertise as lifelong learners in interventional pain management. ​We invite you to explore the videos below and learn about our physicians, clinic, and various conditions and treatment options. Dr. Birgiolas discusses what interventional pain management is and how it can help people in pain. Dr. Birgiolas of Spine Pain Diagnostics Associates talks about Spinal Cord Stimulation and how it can help those who are experiencing pain after back surgery and other candidates for this drug-free intervention for chronic pain. Dr. Rani Chovatiya from our Mequon office talks about osteoporosis and vertebral compression fractures. Spine Pain Diagnostics Associates offers minimally invasive treatment options for painful vertebral compression fractures as well as many other treatments for a variety of painful syndromes from head to toe. Dr. Birgiolas discusses what whiplash is, the painful conditions that can result from whiplash, and how the doctors at Spine Pain Diagnostics Associates can treat whiplash related pain. 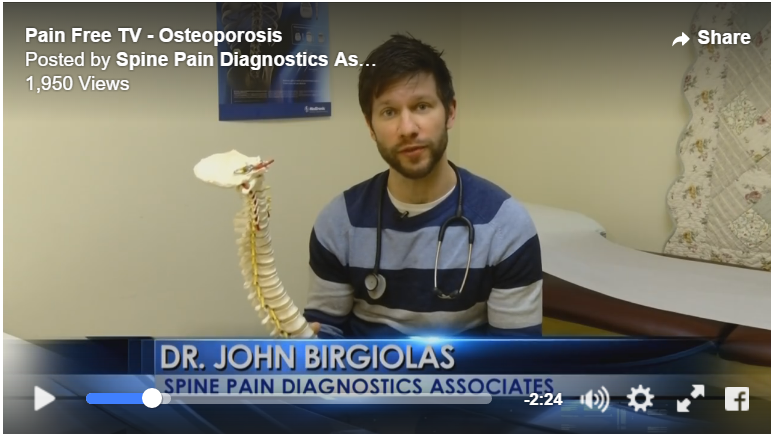 Dr. Birgiolas discusses osteoporosis and answers two questions submitted from viewers. Dr. Birgiolas explains what failed back surgery is and treatment options available at Spine Pain Diagnostics Associates. Dr. Birgiolas answers viewer submitted questions. ​Dr. Birgiolas answers questions about toe numbness after an accident, what cortisone injections are, and what is the most common type of pain he sees. Learn what makes Spine Pain Diagnostics Associates one of the premiere medical clinics to have your pain evaluated and treated at. Learn about the comprehensive therapies offered and what you can expect from our clinic. Learn about our founder and medical director, Dr. Vijay Singh. Dr. Singh's knowledge and dedication to the field is what makes Spine Pain Diagnostics Associates the world-class pain center it is today. Dr. Piryani provides interventional pain medicine services at our Mequon and Greenfield offices.